Union Home Minister Rajnath Singh has called upon the Central Armed Police Forces (CAPFs) to launch special recruitment drives for women. 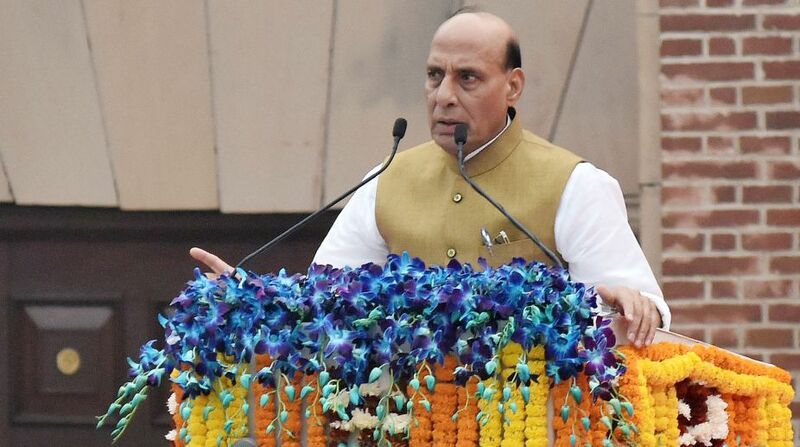 Addressing the 49th Raising Day Parade of the Central Industrial Security Force (CISF) in Ghaziabad, Rajnath said the goal of 33 per cent women officers in CAPFs must be achieved. “The CAPFs must launch special recruitment drives for women to achieve the goal of 33 per cent reservation for women,” Rajnath said. Highlighting that data theft, hacking and cyber crimes have added a fourth dimension to industrial security, Rajnath adviced CISF to strengthen its cyber security plan. “Data theft, hacking and cyber crimes have added a fourth dimension to industrial security,” said the home minister as he lauded the CISF for its multi-dimensional roles including Internal Security in combating Left Wing Extremism. As India’s economy will surpass the $5 trillion mark in a few years, we will need to boost critical infrastructure including airports, metro and high-speed railways, the minister further said. “Since security to such vital infrastructure and strategic installations including space research and nuclear power plants lies in the safe hands of the CISF, he said the Force is thus contributing to India’s development and nation-building,” he said. The force is responsible for securing critical infrastructure installations like nuclear installations, space establishments, airports as well as the Delhi Metro.